You can mash them into pancake batter, blend them into smoothies, slap them into peanut butter sandwiches, or peel and eat them for a quick, nutritious snack — it’s no wonder bananas are the most popular fruit in America. But our climate here in California and the U.S. isn’t suited to growing them, which means they have to be sourced from Latin America, the Caribbean, and Africa — via a supply chain fraught with labor abuses and detrimental environmental practices. While most grocery stores are willing to sell products with questionable standards, we refuse to compromise our strict sourcing criteria. This presents a challenge, albeit one we’re happy to accept. Big Profits, But at What Cost? The traditional banana supply chain favors large multi-national corporations at the expense of laborers and the environment. Agricultural workers earn less than a living wage working on plantations that use harmful chemical pesticides that end up in the soil and water. These big companies hold all the power in the industry on the supply-side — small farmers must agree to their terms or risk having nowhere to sell their fruit. There’s a well-documented history of banana producers (sometimes with the help of our government) interfering in the politics of foreign nations to maintain this status quo of exploitative labor, cheap land, and tax breaks — that’s where the term “banana republic” comes from. Many grocery stores perpetuate this cycle. Have you ever wondered why bananas are so cheap despite being grown and shipped from thousands of miles away? Bananas are seen as an indicator of store-wide pricing, and with nearly three-quarters of shoppers buying them every year, stores keep prices artificially low, even if it means absorbing the cost. The unseen consequence is short shrift to farmers and laborers who have little hope of earning a living wage as part of the Banana Industrial Complex. This state of affairs presented a challenge for Good Eggs. Our customers have always loved the produce we source from small farms near the Bay Area, but back in 2016 they started to request more grocery staples. Bananas were at the top of the list. We had a decision to make: adhere to our local-only policy for sourcing produce and leave a gap in our customers’ weekly shopping lists or find a better banana we’d be proud to sell. So we listened to our customers, did the work, and started sourcing organic, fair-trade bananas that disrupt the system of exploitation and environmental degradation. Today, we’re proud to sell Equal Exchange bananas from a small farmer cooperative in Ecuador (Equal Exchange also works with farmers in Peru). These co-ops focus on the rights of farmers and laborers, giving worker-owners a vote as well as a stake in the business. Yes, the bananas these farmers grow are organic and fair-trade, but there’s more to them than those labels. “This alternative supply chain model is slowly shifting control from the hands of the elite, back to the hands of farmers,” Equal Exchange explains on their website. When you add an Equal Exchange banana to your Good Eggs order, you’re loosening the grip of multi-national corporations that rely on exploitative labor and unsustainable environmental practices to generate huge profits for their executives and shareholders. Grocery shoppers like you are already starting to make a difference. In 2018, 11 million people purchased Equal Exchange bananas. That means more than $4 million paid directly to small-scale farmers. On top of that, farmers earn a fair-trade premium of an extra dollar per box of bananas sold, which funds community projects, like healthcare, women’s entrepreneurship programs, and soil health initiatives. Farmers vote on how that money (more than $300,000 in 2018) is allocated. Looking back at the history of our company, the banana represented a pivotal moment for Good Eggs. 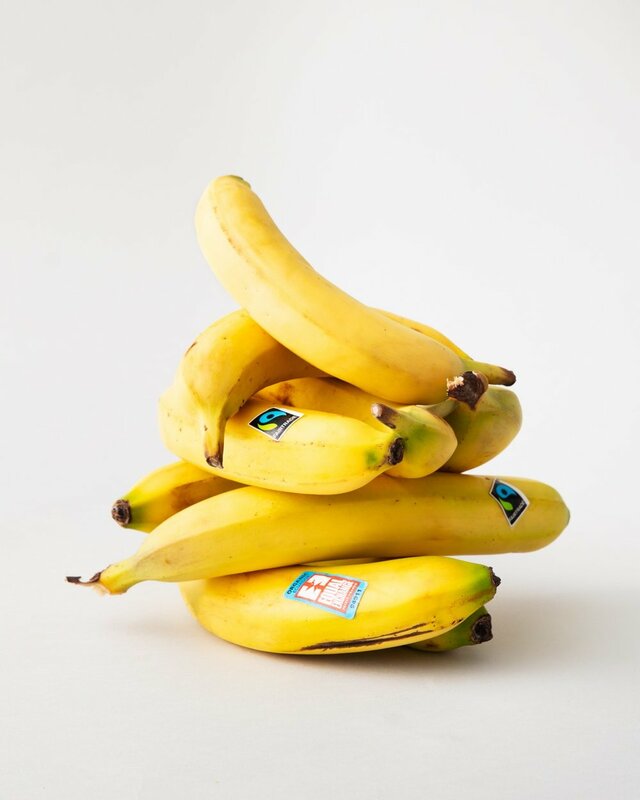 Rather than cutting corners and bringing a sub-standard product into our Marketplace, we found a better banana that gives our customers the opportunity to change the nefarious dynamics of a worldwide supply chain — simply by purchasing delicious, organic fruit they’d buy anyway. As we continue to add produce, grocery staples, and cleaning products to our assortment, we’re committed to the same principles and standards that have guided us to this point. 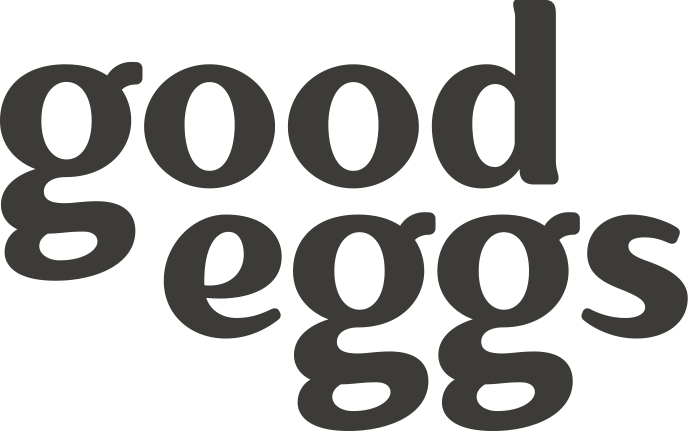 You can rest assured that when you shop at Good Eggs, you're feeding your family food that tastes great, has no shady ingredients or backstory, and is sourced responsibly. We’d never settle for anything less and we don’t expect you to, either.